Indianapolis - Zane Burnell Powell, 60, went home to be with the Lord Tuesday, April 9, 2019. Zane was born June 21, 1958 in Beech Grove, IN. He was a professional woodworker for over 30 years. In 1987, Zane supervised the residential cabinetry division at Classic Woodworking, specializing in designing and building complicated case work. In 1992, Zane started his own company that specializes in fine furniture. 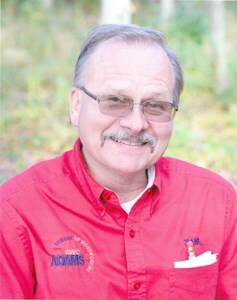 He was the lead assistant at Marc Adams School of Woodworking when it started in 1992. His work has been featured on the front cover of Builder + Architect magazine and in Indianapolis Monthly and Better Homes and Gardens’ Wood magazine. Beyond his love of woodworking, he also enjoyed fishing and camping, but more than anything else, he enjoyed spending time with his family. Zane is survived by his beloved wife, Rebbecca Powell; mother, Donna Powell; daughter, Leslie Ford and her husband, Joshua; son, Justin Powell and his wife, Misty; sisters, Gail Day and her husband, Mike and Deana Powell; brother, Brian Powell and his wife, Carolyn; grandchildren, Kaleb and Kaley Powell and Trinity, Mercy, Eternity and Elijah Ford; and many other loving family members and friends. A celebration of Zane’s life will be conducted Monday, April 15, 2019, at 7:30 pm at Marc Adams School of Woodworking, 5504 East 500 North, Franklin, IN 46131. Zane’s family will also receive friends Tuesday, April 16, 2019, at 7:00 pm at 6001 West 52nd in Indianapolis. If you would like to share a memory of Zane, or a special message with his family, please click the “Share Memories” icon above. Add your memories to the guest book of Zane Powell. Until his passing I didn't think about how much we had in common. Although he was much better at it we both love woodworking & building things with our hands, making people laugh. If the special place he holds in people's hearts here on Earth has anything to do with his place in heaven he'll be living in a beautiful beautiful mansion where everyone will be welcome. We loved going fishing , Zane would take me out on the lake and show me right where the fish were. He’d tell me where to cast to get the fish. We would have so much fun just being together, being out in the fresh air enjoying the beauty God created. He would tell me to take a picture and then hold the fish out closer to the camera to make the fish look bigger. We’d just laugh and try for the next one . Honey I’ll always love and miss you, but so grateful you finished your race and God was able to tell you well done good and faithful servant. I love you !